Oscar buzz is in the air and to celebrate this year’s Academy Awards, Kingston&Co Condos by TAS and Main and Main Developments, is hosting a viewing of the classic, and award winning Bond film, Thunderball. The screening will take place on Tuesday February 24th, in Canada’s oldest running cinema — the Fox Theatre — located at 2236 Queen Street East. Space is limited, so make sure to register online to secure your spot! Each registrant is welcome to bring three guests including children. Doors will open at 6pm and popcorn will be served. 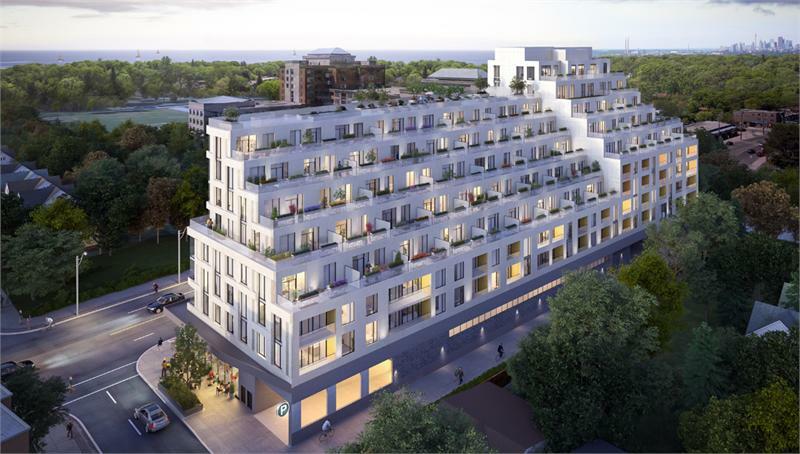 The Fox Theatre is just steps away from the site of Kingston&Co Condos and is just one of the many amenities in the Upper Beaches neighbourhood. The development is also surrounded by specialty shops and boutiques, antique stores and gourmet and artisan food shops that give the area its village-like feel. To help residents enjoy the outdoors even more, each suite comes with ample outdoor space for entertaining, relaxing, or gardening. 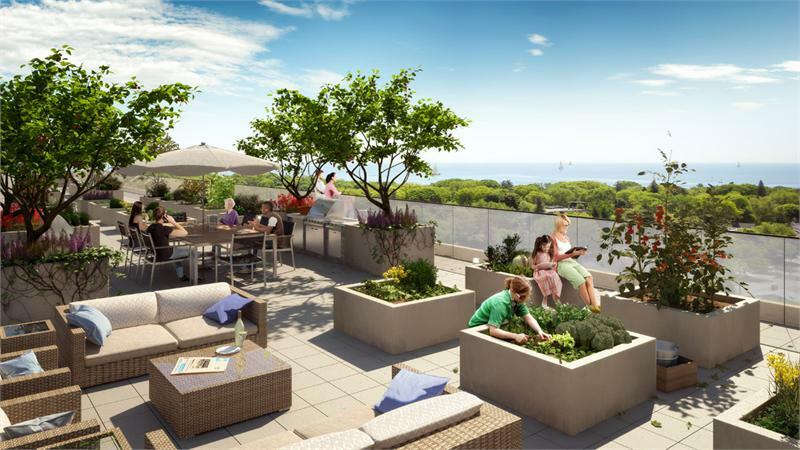 Even more outdoor space can be found on the communal rooftop terrace which will feature raised bed gardens, a barbecue area and dining spaces and expansive views of Lake Ontario and Upper Beach neighbourhood. Other building amenities include a fireplace lounge, billiards room, fitness centre, yoga/pilates studio, car wash area, workshop and tool room and 24-hour concierge service in the lobby. With 140 units and 70 unique and spacious floor plans available, prospective homebuyers are sure to find a layout that fits their lifestyle. The suites feature nine foot ceilings, engineered hardwood flooring throughout, and custom kitchens by Aya Kitchen. Finishes include stone countertops, porcelain floor tiles, and stainless steel appliance packages. Suites at Kingston&Co start in the low $300,000s and range in size from 420 square feet to 1,527 square feet. For more information on Kingston&Co Condos, please call 647 558 5500.